Not only are straight teeth visually appealing, they can also provide some health benefits as well. Here are some health benefits to getting your teeth straightened. Get your teeth whitened for 2019! If you would like to talk to us about getting your teeth whitened, just text a picture of your smile to 423.713.5555 and we can talk through any questions you might have. Taking the necessary precautions with Halloween candy can help you avoid making an unexpected trip to the dental chair. Interacting with Your Dental Office is Easier Than Ever! New technologies in doctor’s offices can lead to more frustration. That is not the case with Dr. Austin Roberts Family and Implant Dentistry. Every time you text us, send a Facebook message, his phone pings and he can respond to your questions within minutes. This month’s staff spotlight is on our new hygienist, Nikki! There are several things you should keep in mind when deciding between potential dentists. So, we've compiled a list of the top 5 things to look for in a dental practice. Dental Implants is the most advanced treatment to replace a missing tooth. 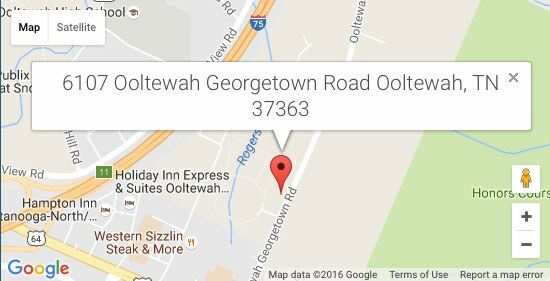 Here at Dr. Austin Roberts Family and Implant Dentistry, we specialize in this procedure at our Ooltewah dental practice.